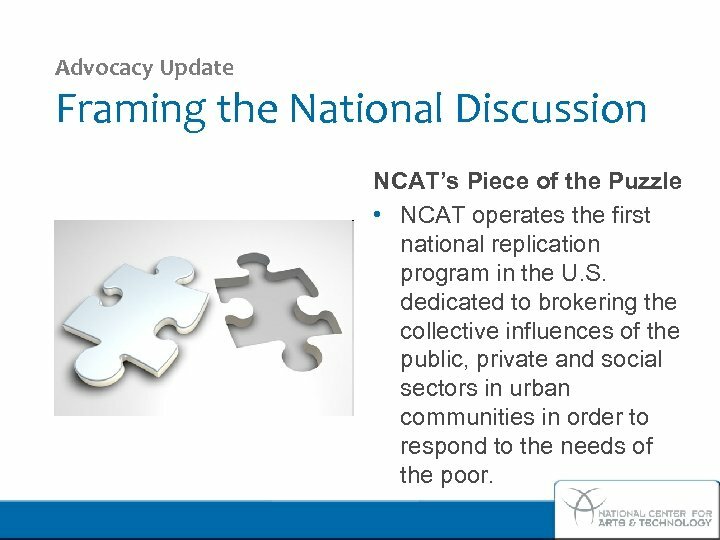 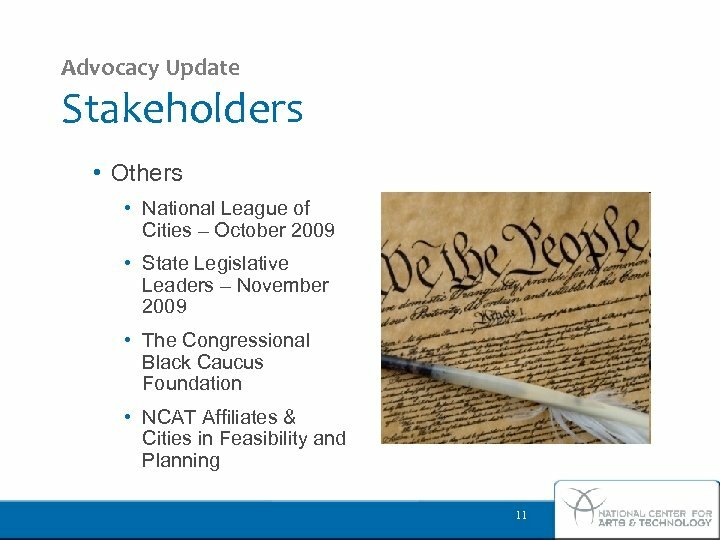 Advocacy Update Framing the National Discussion NCAT’s Piece of the Puzzle • NCAT operates the first national replication program in the U. S. dedicated to brokering the collective influences of the public, private and social sectors in urban communities in order to respond to the needs of the poor. 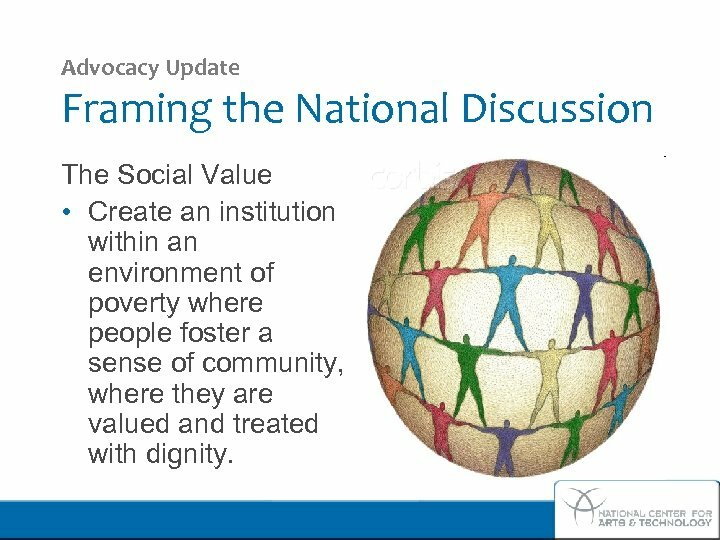 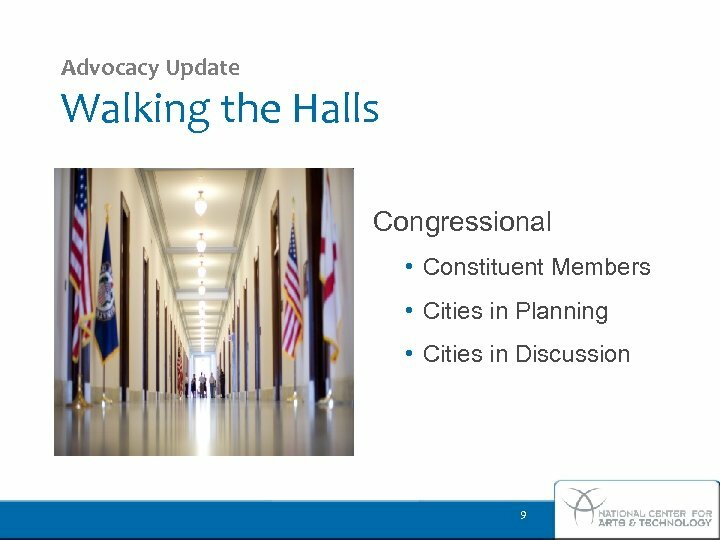 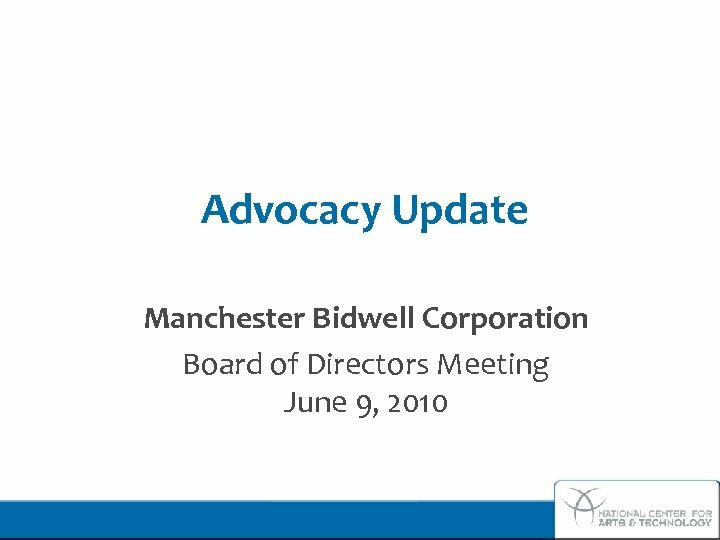 Advocacy Update Framing the National Discussion The Social Value • Create an institution within an environment of poverty where people foster a sense of community, where they are valued and treated with dignity. 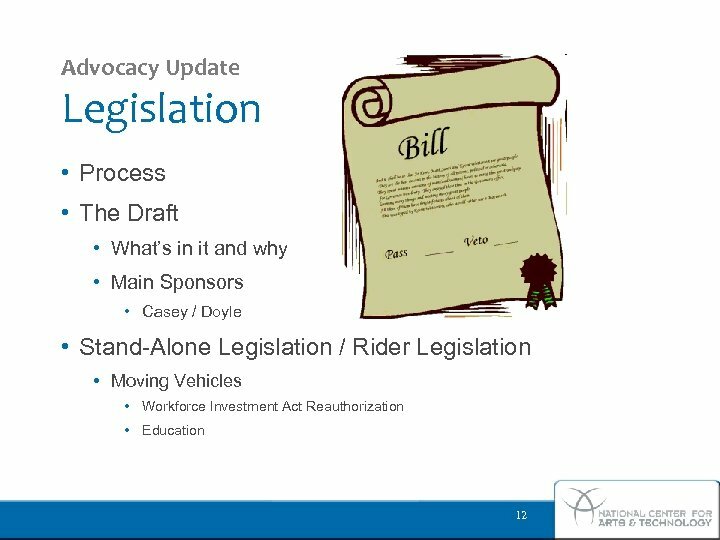 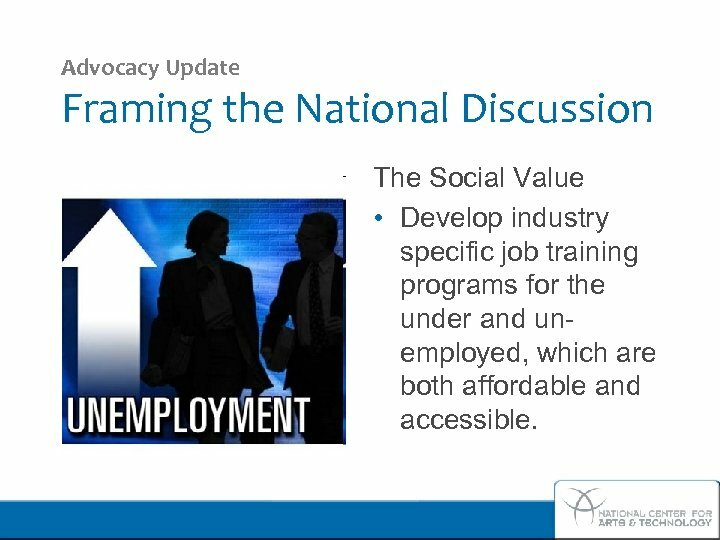 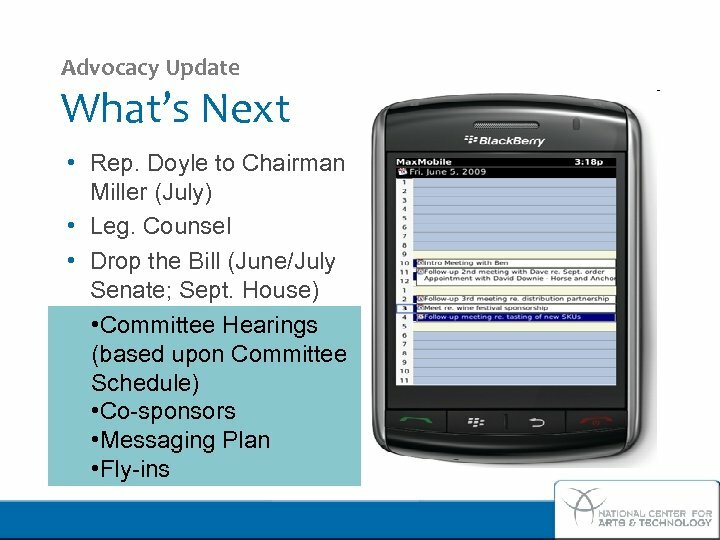 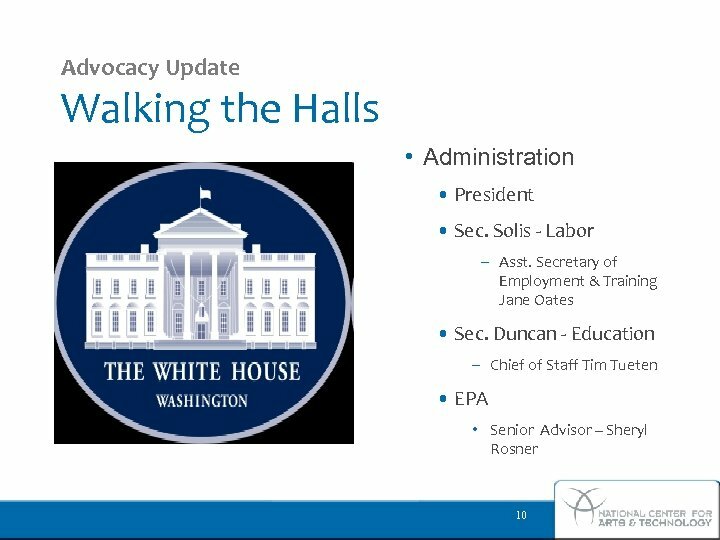 Advocacy Update Framing the National Discussion The Social Value • Develop industry specific job training programs for the under and unemployed, which are both affordable and accessible. 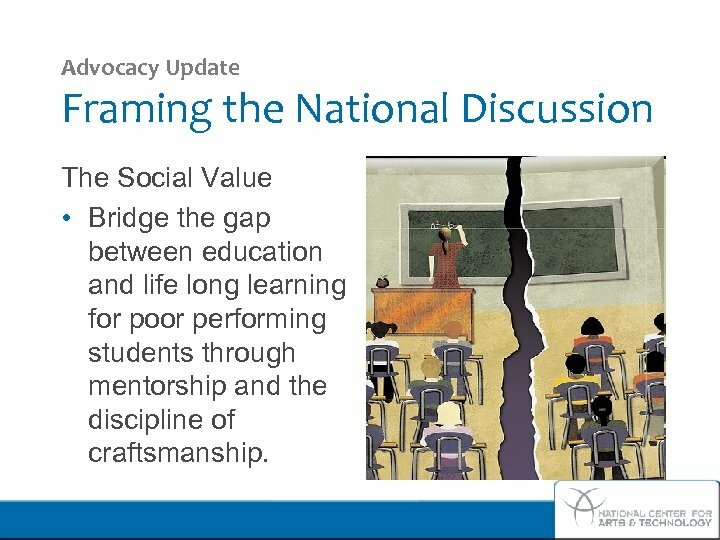 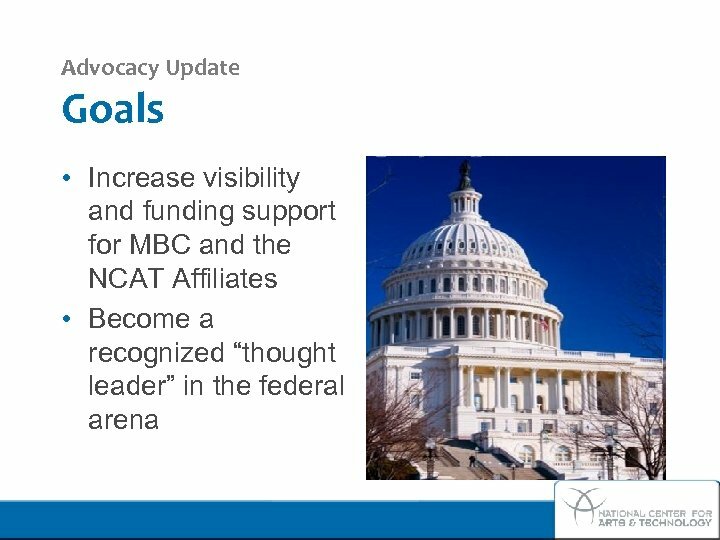 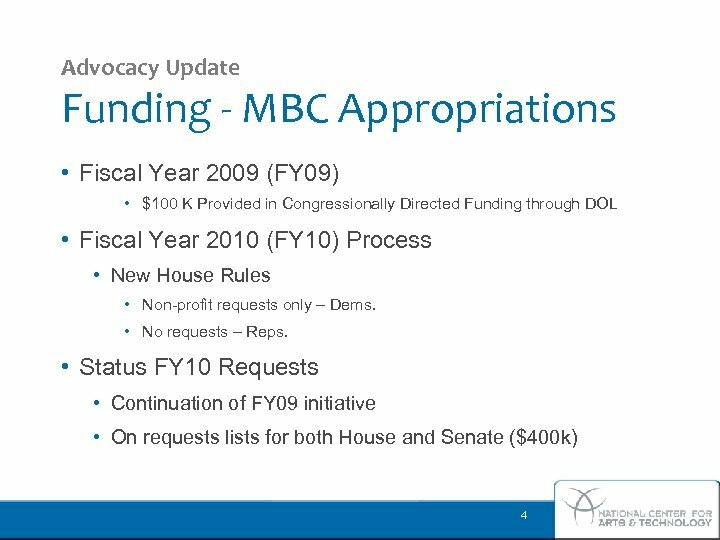 Advocacy Update Framing the National Discussion The Social Value • Bridge the gap between education and life long learning for poor performing students through mentorship and the discipline of craftsmanship.